Multiple C-Class IP SEO Webhosting enables webmasters to host websites from one control panel and assign each account it’s own different Class C IP address. Each SEO hosting plan comes with private branded name servers on separate Class C IP addresses. C-Class SEO hosting enables you to get links from other sites you own. So if you own, say, 25 sites and all 25 of those sites link to a selected website it’s great for SEO, right? Well, many people in SEO think that Google takes into consideration the C-Class IP the sites are hosted on and if they are all hosted on the same IP Google takes that into consideration and either discounts the links or possibly even penalizes you in cases where there are large link networks going on. What is a Separate C-Class IP? Same C-Class IP tends to suggest IP’s are from the "same server" and deferent C-Class IP tends to suggest IP’s are from "deferent servers". In simple words if you have multiple sites that are interlinking each other, then your sites need to have unrelated IP addresses (deferent C-Class IP’s). If they don’t, creating multiple sites that have similar keyword structures and link to each other will most certainly cause the Google spiders to be suspicious and penalizes your sites from rankings. 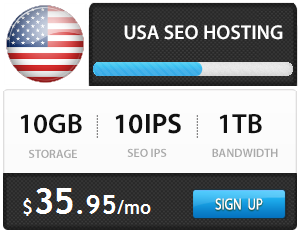 Why Choose Glovio as Your SEO Hosting Provider? Glovio.net has been in SEO-Hosting business for 6 years with proven track record. We can proudly say that we have actually been in business, known and operated as Glovio.net for 6 years with customer reviews on multiple online communities, blogs and search engines for 6 years creating a verifiable track history. That is why many businesses choose Glovio.net as their reliable SEO hosting provider. 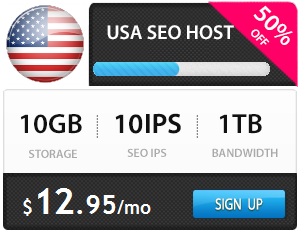 Is it True That Glovio Offers Lowest Prices in SEO Hosting? Here at Glovio, we are so convinced that our SEO Plan prices are the best In the SEO Market! If you find any company offering a better deal than us, we will not only match the deal of our competitor, but we will also give you a further 10% off the price being offered by our competitor. Just contact our sales team with a link to the company offering a better deal than us! Why Glovio Offers Limited Number of SEO IP’s? Our Plans are targeted for legislate webmasters who wants to improve their Search Engine rankings. Offering large amount of SEO IP’s will attract SE Spammers who use black-hat SEO techniques influence the SE rankings in a massive scale. At Glovio we carefully use mix of SEO clients with normal clients on our servers. With these tactics we can proudly assure you that our IP’s are 100% search engine friendly and not in anyway blacklisted by any of the search engines. Why Glovio SEO IP price is Low? Is there any Catch? Normally in order to provide multiple C-Class IP’s the hosts needs to maintain large IP pools which ad up as a overhead cost for your hosting plans. As an example sometimes a host needs to maintain IP pool of 1000 IP’s just to provide you with 100 C-Class IP’s. Glovio.net being a main steam web hosting provider, we are able to use the remaining IP’s of our SEO IP pool for our regular customers need such as installing SSL’s. At Glovio.net no IP’s are wasted so we are able to offer our SEO Plans 5-6 times cheaper than our competitors. In todays Whiteboard Friday Rand discusses how looking at people and their interests may drive more traffic in the long run more so then trying to rank for specific keywords. Up to 300% faster page load times with SSD Speed Boost technology when comparted with traditional servers with normal hard drives. Separate domain nameservers to make it look like you as if you are hosting your domains on multiple web hosting providers. Our 1-click WordPress auto installer you can get your WordPress blog online within minutes. More than 300+ scripts to choose including WP. P's are located in many data centers worldwide. Unlike other SEO hosts we try to avoid placing all cPanel's on same server or data center. Servers are specially optimized for WordPress. With our specialized WP security setup 90% attacks are blocked before reaching your website. With globally distributed caching and routing technology, you would never worry about slow running websites that effect could your SEO. All our SEO Hosting Plans are affordable, feature rich and easy to manage and scalable to meet your growing webhosting business demands in future. Our SEO hosting plans come with more features than any other SEO plan on the net and our data centers in USA, Europe and Asia makes it an ideal choice for webmaster and business owners from any part of the world. With a reputation for quality of service, we offer services from a network of servers in 25 Data Centers World Wide. Our feature rich SEO hosting plans offer all the tools needed with true 24/7 customer support to you and to your customers. Our drive is truely satisfied customers and our priority is quality beyond quantity!